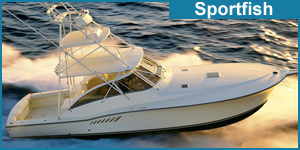 Find used fishing boats for sale of all types here, but please read this first. The links below generate Search Results for various fishing boats. Click REFINE button to set one or more criteria for price range, length, age or brand of the boats you want to see. Click List, Grid or Detail buttons to change views with photos. IMPORTANT! Boat Sellers designate boat types differently. 3 boat sellers could label the same boat as 3 different boat types. Select multiple boat types to find all the boats you want to see. All Fishing Boats All Types- Includes all types so you won't miss any boats you might want to see. For Best Results, start here. Then REFINE search criteria for the price range, length, age or brand of boat you want. Fishing Boats - You will find a mix of types in this category, as some boat sellers designate a boat in general as "Fishing" rather than a specific type. 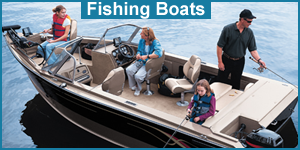 This category includes aluminum all purpose fishing boats and jon boats. 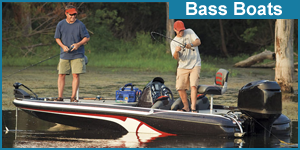 Bass Boats - Usually rated for up to five passengers, but really designed for two or maybe three anglers, who cast lures from open platforms at the bow and stern. 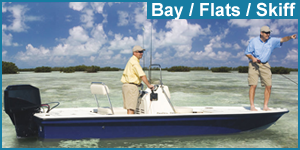 Bay / Flats / Skiff - Designed for shallow water, Flats more shallow than others. Flats may have a poling platform over the engine. Bay may have higher sides and slightly deeper hulls. Center Console - Range from 18 - 42 ft. You walk on a level floor, vs. a walk-around where you step up onto the deck or raised surface. 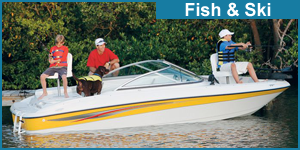 Fish & Ski - All purpose watersport boat but with live wells, rod storage, trolling motor or other fishing amenities. 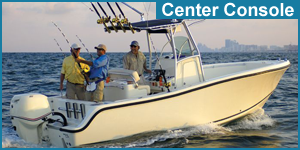 Sportfish / Convertible - Larger boats designed for multi-day outings and larger fish in deeper waters. Walkaround - Vessels with a forward cabin surrounded by a wraparound deck. Similar to a center console, but a little larger with more amenities. 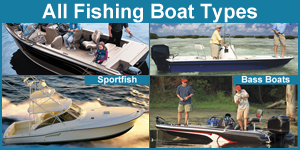 Learn more about fishing boat types, visit Discover Boating's Boat Selector Tool. 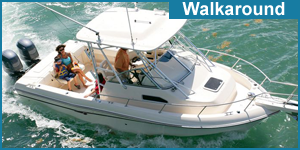 Select Freshwater Fishing Boats or Saltwater Fishing Boats and learn about all the fishing boat styles.